So it’s been a while; I’m sorry. Last year went by in a blur of nonstop travel and work that just wouldn’t let up. Here are just a few updates on the whirlwind that was 2014. I read 27 books, not 40 as resolved at the beginning of the year. I just edged number 27 in on New Year’s Eve because my family was kind enough to indulge me and let me read (mostly) uninterrupted for a while, and since I’d started the book in January I thought it was about time for me to finish it. I’ll try this goal again in 2015 — but 40 is a lot of books. Also not achieved? Reading a straight-up non-memoir nonfiction book. I did start one…but it is very long. Do stay tuned for my standout reads of the year: there were a few that were worth talking about, and the talking didn’t happen like it should have. I became an auntie this summer! Because this is a public blog, I won’t be putting up any photos of my sweet and entirely adorable nephew, but rest assured he gives Prince George a run for his money with the CHEEKS and the CUTENESS. This entry was posted in Books, Reviews, and Reading, Miscellany and tagged 2014 reading resolutions, 2015 reading resolutions, random thoughts on January 3, 2015 by ms.grammarian. I’ve been relocated at work from the grimy old cubicle I used to occupy on the second floor of our building out to a trailer. They’re finishing up our office building renovation, and accommodating all the personnel that had to move meant that my group ended up in the Trailer Office. 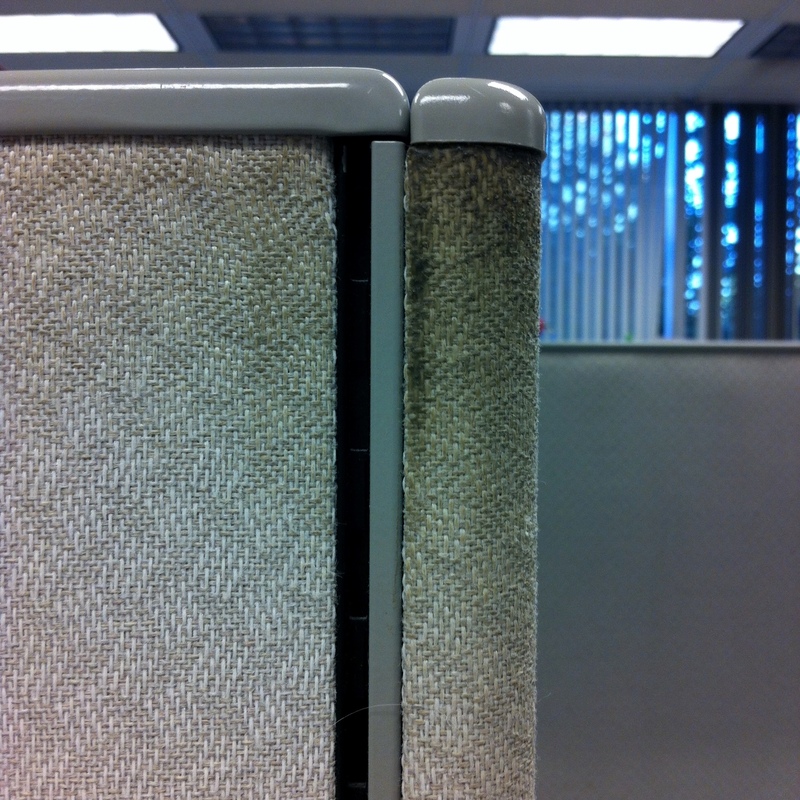 Grimy old cube. That I actually miss. The Trailer Office is really two trailers, mashed together. In what seems to me an entirely illogical decision, management set the trailers up with the front of the second trailer facing the back of the first trailer. The two trailers are identical, though, so this particular placement means that the only windows in the back trailer are only about a foot from the front trailer and let in almost no light. The “front doors” of the back trailer have been marked off with caution tape and a sign from some clever previous occupant about Platform Nine and Three Quarters. 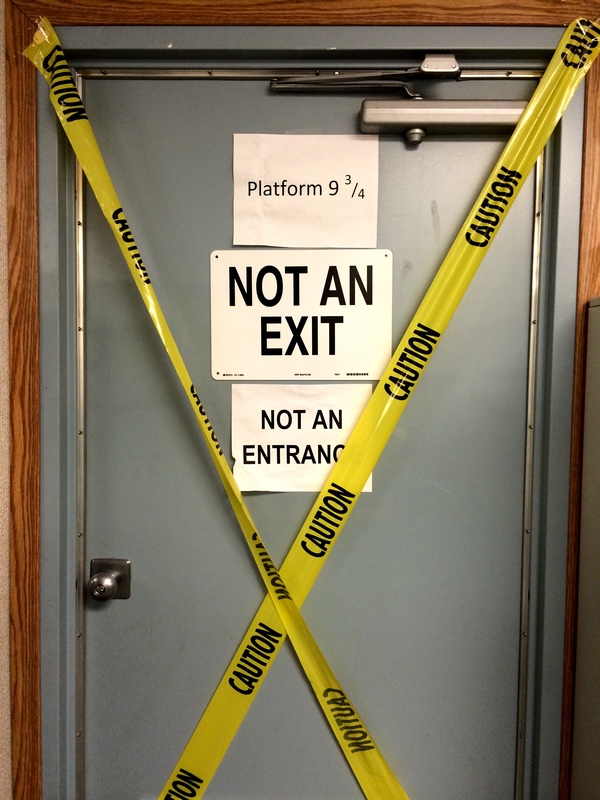 (Except unlike Platform Nine and Three Quarters, these doors actually go nowhere and are in no way enchanting or magical.) Communicating doorways were engineered between the two trailers to either side of the back trailer’s actual doors. The trailer is filled with cubicles that look a lot like the one I left behind, except older. They are missing parts and the inimitable “cubicle cloth” is fraying and trailing threads in certain places. Drawers don’t stay open because (although I’m sure they tried their very hardest and best) the floor isn’t level. And as my group got stuck in the back trailer, there is no natural light. Also, the trailer has no running water and no bathroom. Management rented two “deluxe” port-a-potties (an oxymoron if ever I’ve written one), one for men and one for women. They’re considered deluxe because they have sinks and “flushing” toilets. When the port-a-potties get pumped out, the trailer fills with the smell of sulfur and excrement. Supposedly the pump-out is supposed to happen on weekends but the last time it was a Monday morning. I’m told that mice are a problem out here. Spiders also randomly drop into our cubicles. When it rains really hard, the rain drumming on the steel girder that sits between the two trailers is quite loud – and if it rains very hard for enough time, the water pooling on the steel girder starts to leak in through the Doors to Nowhere. I knew that working in the trailer was going to be absolutely terrible and had been dreading it since we were told we would be coming out here: no ability to wash your hands, unless you use the port-a-potty (you have to go outside to get there, and as long as you’re outside, I maintain it’s just as easy to walk into the building). I’ve stocked my desk with Wet Ones and Clorox wipes. But far and away the worst thing of all about the trailer – which I was not anticipating — is the lack of white noise. And my coworkers (who, don’t get me wrong, are great people) are a talkative bunch, much of the time just to themselves as they think something through. One in particular recently had a nearly day-long self-monologue which ended with, “Okay, it’s time to go home.” They’re nice people. But their contribution to my difficulty focusing is driving me batty. This entry was posted in Stories and tagged somewhat funny stories, workplace etiquette on September 30, 2014 by ms.grammarian. Spied for sale in one of those “notions” areas of a department store. If I were responsible for this egregiously unnecessary and meaning-changing comma, I’d want to be anonymous as well. 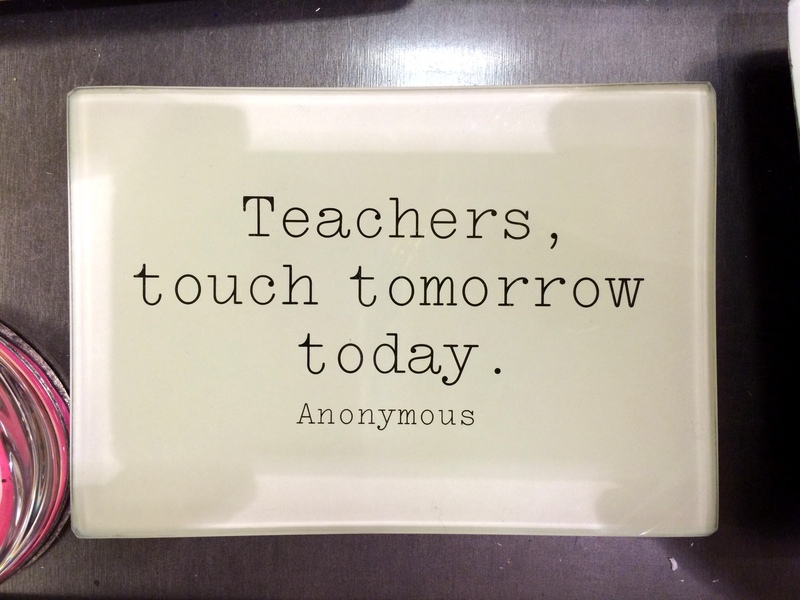 Then again, I suppose they might have actually intended it as written — as an exhortation rather than a description of what teachers actually do? This entry was posted in Misspells, Misusages, Mistakes and tagged punctuation on August 11, 2014 by ms.grammarian. My summer has been crazy. I have been on the go so much I’ve hardly had time to think. I actually did the math, and in a span of exactly 30 days, I was in 9 distinct airports and took off and landed no less than 23 times. The novelization of my life might refer to this epic thirty-day-period as “Two Weddings and a Baby Shower”, with an afterword entitled “Four Time Zones Apart: Vacation and Work Travel With 24 Hours Between”. But on the bright side, with all that airport and airplane time, I read six books! Before the Air Travel Extravaganza, I was working on a post to let you all know ahead of time the reasons for my absence, but the post was scrapped, mostly because I was afraid that my real and actual joy at being able to do all of these things and go all of these places — for and with people I love — would be overshadowed by my melodramatic dread of the attendant exhaustion (and the huge life changes that each trip represented to me). And I’m glad I scrapped it. “Kill your darlings” is what people who know say about writing, and in this case my darlings were allusions to Robert Frost poems. Thankfulness is a much better use of my time (when compared to melodramatic dread, not allusions to Robert Frost — poetry is never a waste of time). Let’s talk instead about those six books: here’s what I read, in no particular order, and typically random! 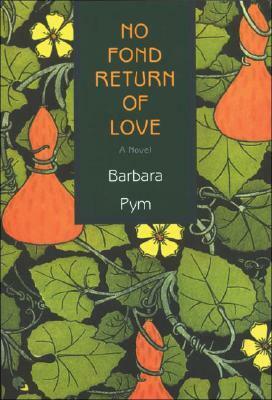 No Fond Return of Love, by Barbara Pym. How I would have loved to have actually known Barbara Pym. I like to think that she and I would have been great friends, if only because I see something of myself in each one of her heroines, who one imagines must each have something of her in them, too. While this particular book of hers was not (in my opinion) quite at the same level as Excellent Women or Jane and Prudence, it still offered such little gems of perfect expression as “the rather perfunctory tone in which social invitations not meant to be accepted are sometimes issued, and to which the only suitable reply is a murmur.” For me, reading one of her books is like reading a long, storied letter from a friend with whom I entirely sympathize. 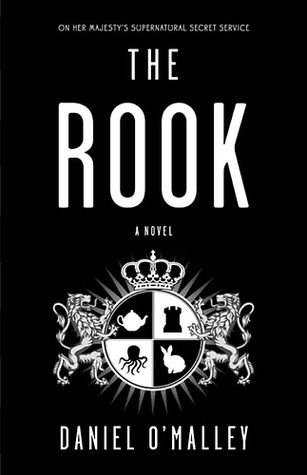 The Rook, by Daniel O’Malley. A woman wakes up in the rain in a London park, surrounded by dead people, with no recollection of who she is. She soon discovers that she is a high-ranking member of a secret organization in the British government tasked with keeping supernatural forces in check, and that she has extra-special supernatural powers of her own. If you’re not already intrigued, then my raving about wry writing (which reminded me of watching recent Doctor Who) probably won’t convince you to read this super-fun book (first in a planned series). A few hallmarks of a first novel were outweighed by the novel’s being refreshingly without so many of the characteristics that seem to plague so much of recent science fiction/fantasy: there was no annoying romantic triangle (or romance of any kind), and there WAS a confident heroine getting stuff done — on her own, to boot. MORE LIKE THIS PLEASE. 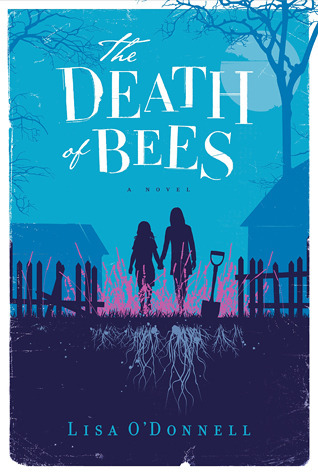 The Death of Bees, by Lisa O’Donnell. The story of two sisters, Marnie and Nelly, opens with Marnie’s confession: “Today is Christmas Eve. Today is my birthday. Today I am fifteen. Today I buried my parents in the backyard. Neither of them were beloved.” Set in urban Glasgow, it’s the story of Marnie and Nelly just trying to get by keeping the secret of their parents’ deaths until Marnie’s next birthday, when she’ll be legally old enough to take care of Nelly herself. Keeping that secret proves harder and harder as neighbors, authorities, and their parents’ drug dealers start asking questions. This is not The Boxcar Children: there is a hefty bit of Glaswegian grit in this story. While it might not be quite urban fiction, it certainly had similar themes and content. Somehow it still managed sweetness, though — if you can get past the grit and you enjoy coming-of-age stories, this book may be for you. 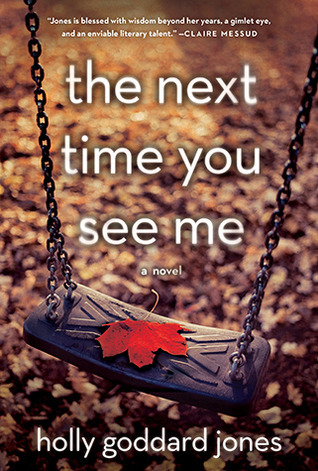 The Next Time You See Me, by Holly Goddard Jones. “Lives of quiet desperation” is what springs to mind when I think of this book. The story is told from multiple points of view: a young girl, a loner, finds a dead body in the woods and keeps it a secret; a schoolteacher’s wild older sister has gone missing; an older man works in a local factory; each of their lives and the lives of others in their small Kentucky town will converge as the search for the missing sister escalates. Really more of a slow-burn character study than a true mystery or thriller, each of the characters was finely drawn and even sympathetic — but it doesn’t shy away from or understate their sadness and hopelessness, and while I’m not sorry I read it, I would probably never read it again. Habits of the House, by Fay Weldon. Fay Weldon was the author of the original “Upstairs Downstairs” — and because I love both period dramas and comedies of manners, I confess I had high hopes for this particular book. But I found it disappointing, and I’m having a hard time pinpointing why. 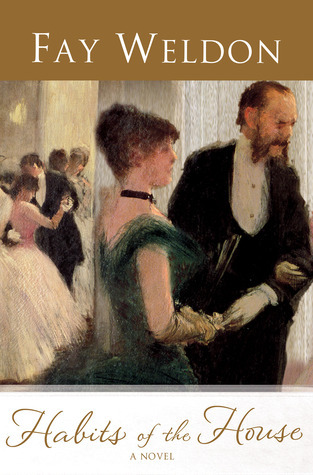 At the end of 1899, the Earl of Dilberne and his family stand on the brink of total financial ruin. Their only hope is to secure a lucrative marriage for their son, who is only interested in keeping his mistress happy and his automobile in working order. Maybe I found it dissatisfying because almost every character was portrayed as having few (if any) redeeming virtues; and although I actually rather liked the American heiress the Dilberne family targeted, I could only picture a future of disappointment for her married to the future Earl of Dilberne. It is entirely possible, however, that I was just tired. 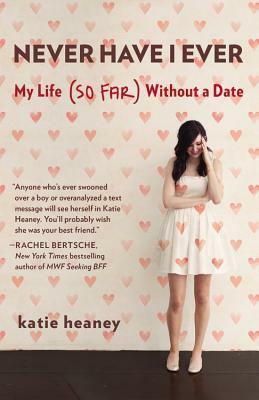 Never Have I Ever: my life (so far) without a date, by Katie Heaney. I decided to read this book after discovering the author’s contributions to The Hairpin, a series called Reading Between The Texts, in which Katie and her friends analyze text message conversations they’ve had with boys (it is seriously one of the funniest things on the Internets and if you’ve been single at all in this century you can probably relate to these conversations). I believe I can say unequivocally that if you enjoy those analyses, you’ll enjoy Ms. Heaney’s book. There were so many times reading the book I laughed out loud and felt like Ms. Heaney and I should be really good friends because we have so much in common, except she’s funnier. So my list began and ended with an author I should like to call a friend. What about you? 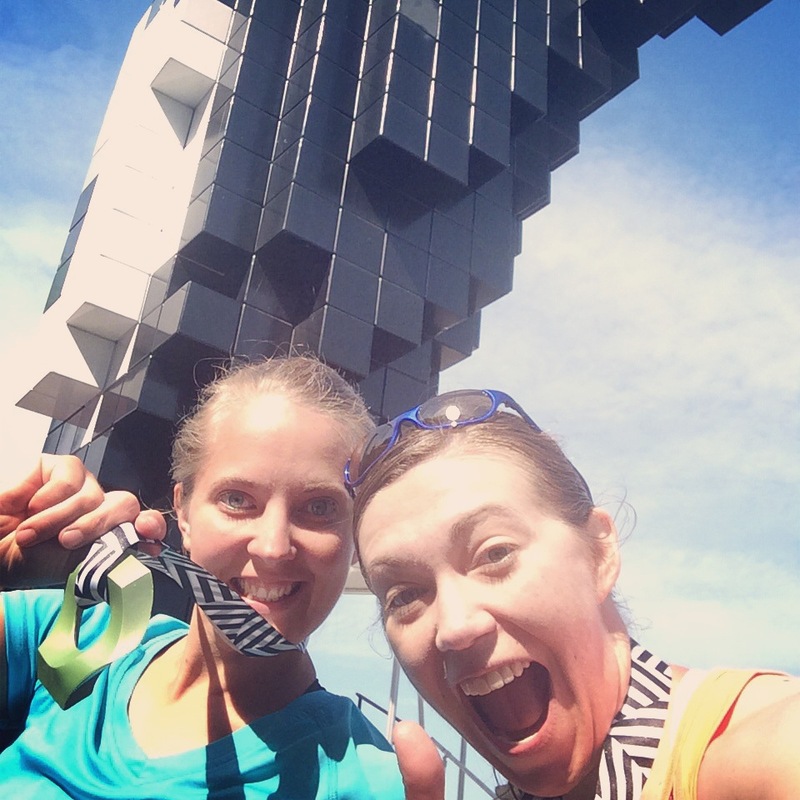 Has your summer been as out-of-control crazy as mine? What have you been reading? This entry was posted in Books, Reviews, and Reading and tagged Barbara Pym, books, Daniel O'Malley, Fay Weldon, Holly Goddard Jones, Katie Heaney, Lisa O'Donnell, memoirs, summer reading, travel on August 6, 2014 by ms.grammarian. I came across The End of the Affair somewhat accidentally: that is, I knew of Graham Greene’s books but have always had other novels I wanted to read more. 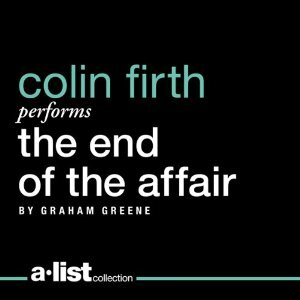 Then one recent afternoon I stumbled across an article on the internet about books this particular person had read but would rather have listened to on audiobook (because the audiobooks were so good), including Greene’s The End of the Affair as narrated by Colin Firth. Now, I am one of those people who would listen to a proper English actor’s voice reading almost anything: I’m even trying to figure out how to convert this clip of Tom Hiddleston reciting the “Once more unto the breach!” monologue from Henry V into an audio file compatible with iTunes so that I can play it in my half-marathon playlist, in part because I recite this particular monologue to myself and my hapless running partner whenever I really have to talk myself into continuing to run, and partly because I like having my reading life follow me into other areas of my life (like running), and really let’s-be-honest mostly partly because it’s Tom Hiddleston [swoon], and he reads Shakespeare so well! This audiobook seemed like the perfect solution for me right now, as in addition to a spate of recent long drives, I am very painstakingly trying to knit a baby hat for my future nephew, these being things impossible to do while also reading. I have the hardest time picking out audiobooks, because somehow I need to believe that I will want to listen to the audiobook again in order to justify the cost (rather than books I buy that I may never read again without any guilt or thought whatsoever), and my library’s selection of audiobooks leaves quite a few titles to be desired. The End of the Affair left me with very mixed emotions. As you’d guess, this is the story of two people who were lovers, Maurice Bendrix and Sarah Miles, whose affair stops abruptly. It’s the story of two people who fell in love, whose affair falls apart, and these two people and their search for God. To be honest, I wasn’t sure how I wanted to talk about this book, so I turned to Goodreads to get an idea of what other people have already said about it. My perusal of reviews there was by no means comprehensive but it does seem like a frequent theme among those who loved it was that they read it just as a relationship they were in was ending or had ended, and how it helped them through that time. This was not true of me. I found the novel’s theology problematic, not in the sense of it detracting from the novel’s success but the very real and acute sense that the novelist’s idea of who and what God is fundamentally differs from the God I know. What I thought Greene did — and did expertly — was sharpen the emotions driving Maurice, particularly, as he examines how the human emotions of love and hate are not so far removed from each other; or how hating something or someone doesn’t necessarily lessen one’s desire for that thing or person. Grief and disappointment are like hate: they make men ugly with self-pity and bitterness. And how selfish they make us too. This entry was posted in Books, Reviews, and Reading and tagged audiobooks, books, Graham Greene, The End of the Affair on June 11, 2014 by ms.grammarian.